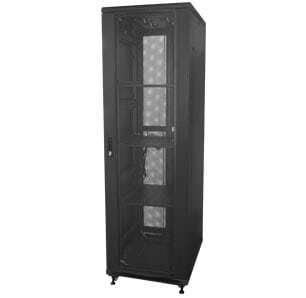 An easy-to-install 19" wall mount cabinet for heavy duty applications. * Including depth of door (40mm) and depth of swing frame (60mm). ▲ All Ausrack Wall products are available on request. Typically used for the housing of patch panels and network equipment where floor space is at a premium.